So, as promised, a series of photos from ONGFest and Bucharest Days, what is the best start for it? 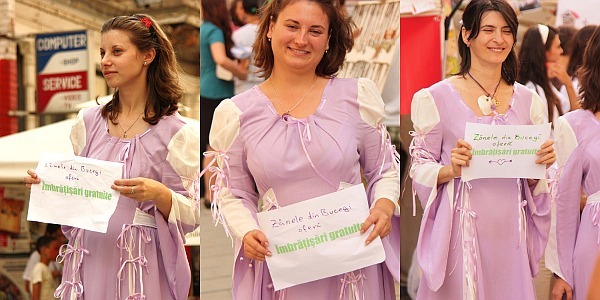 How about some free hugs by the “Bucegi Mountains fairies”? Pretty neat, no matter how you stretch the definition of a “fairy” and to whom you apply it. And you must be content with what you get, right? How many hugs did you get ? 4 hugs from 3 fairies, but not exactly the fairies pictured there.